With the advent of digital imaging, the era of traditional color photography is coming to an end. Yet more than 150 years after the invention of color photography, museums, archives, and personal collections are full of images to be cherished, studied, and preserved. These photographs, often made with processes and materials no longer used or easily identified, constitute an important part of twentieth-century heritage. Today it is more important than ever to capture the technical understanding of the processes that created these irreplaceable images. 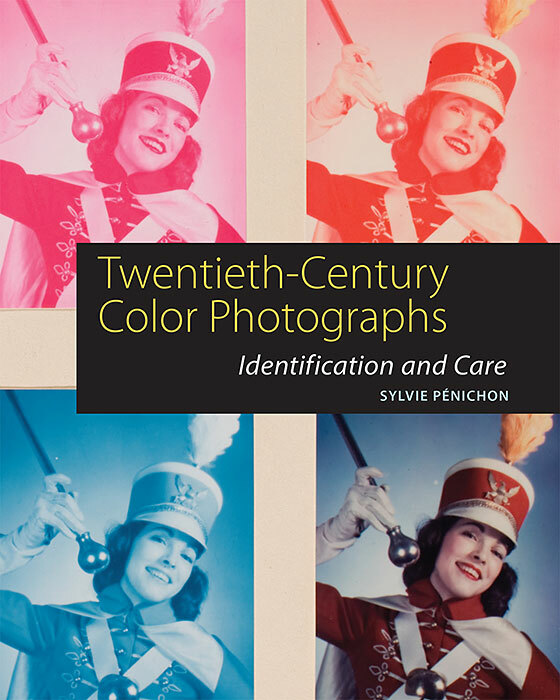 In providing an accessible overview of the history and technology of the major traditional color photographic processes, this well illustrated promises to become thestandard reference in its field. Following an introductory chapter on nineteenth-century color photography, seven chapters discuss the most commercially or historically significant processes of the twentieth century—additive color screen, pigment, dye imbibition, dye coupling, dye destruction, dye diffusion, and dye mordanting and silver toning—offering readers a user-friendly guide to materials, methods of identification, and common kinds of deterioration. A final chapter presents guidelines for collection management, storage, and preservation. There are also a glossary of technical terms and appendixes presenting detailed chronologies for Kodachrome and Ektachrome transparencies, Cibachrome/ Ilfochrome printing materials, and Instant films. Sylvie Pénichon is a conservator of photographs at the Amon Carter Museum of American Art in Fort Worth, Texas.